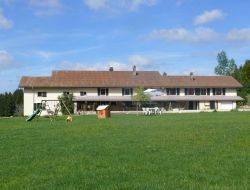 Very beautiful farm renewed of the XIXth century in the middle of nowhere with fantastic view over Switzerland. 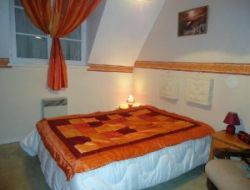 Holiday cottage all comfort for 4 to 6 persons, with parking lot, park, barbecue. In 15km from Maiche, 7km from Russey, 20km from Switzerland. 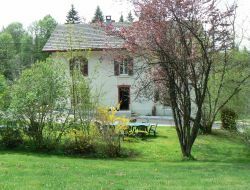 Gite for a group any comfort distributed in 3 independent apartments, with sauna and a rest room (relaxation, meeting conference). Ideal accommodation for family meeting, group. Apartments are all equipped with a fitted out kitchen and all the equipment. 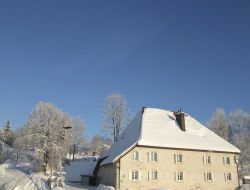 Gite was thought for your comfort, refined, farm or chalet atmosphere... With its sauna, it will know how to seduce you. 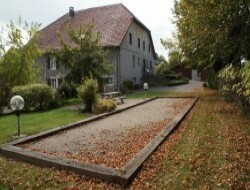 The chalet " Les Trolles ", situated in a magnificent environment of the High Jura, can welcome 6 to 9 persons. 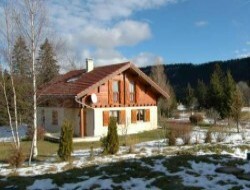 You will find the tranquillity there and you can practise the cross-country skiing and walks by leaving directly of the chalet. 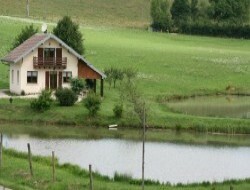 Rent of a holiday cottage typifies chalet situated in a green setting of the Doubs with private pond. 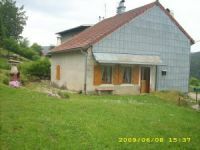 Capacity 6 persons, 2 bedrooms, 1 mezzanine, terrace and ground of 6ha. Private parking. In this very beautiful bourgeois house of completely redone 1789, 3 holiday cottages for 4/5 people and 1 for 7 people. For the same family or the group of friends, possibility of renting together. Every gite is independent.